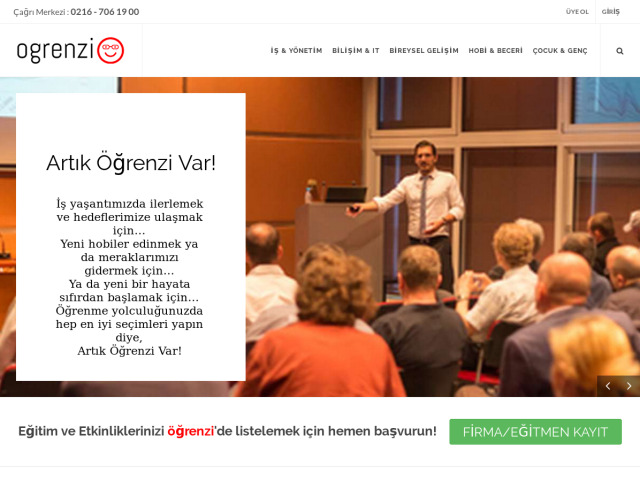 This web site is a marketplace for all kind of trainings, courses, classes, seminars, webinars, online courses, conferences and workshops in Turkey. It covers major three cities Istanbul, Ankara and Izmir in the beginning, as well as online training classes. The training companies can register and start listing and selling their classes online on www.ogrenzi.com. There are categories like business, IT, web development, personal growth, hobbies for adults. It also has a category for kids learning and education.